Some days I feel like technology is conspiring against me. In the past couple weeks I've been through the wringer with my Media Center PC, my Apple iPhone, and my Nintendo Wii. Oh, and then there was Skype, which worked fine for a week straight and then suddenly started locking up my system. Argh! This stuff happens to everybody--and over the years I've pulled out enough hair and drop-kicked enough wastebaskets to have learned some lessons. So the next time your PC behaves in a way that makes you want to tie it in a burlap sack and find the nearest pond, remember these three rules. 1: Accept it. This stuff happens to everybody. Sometimes there's no rhyme or reason to it, and most of the time it's through no fault of your own. Windows is an unpredictable, unreliable beast (yes, even Windows 7). A single problem driver or incompatible program can wreak havoc on an otherwise healthy system. When you accept that problems can and will happen, they'll be less of a surprise--and less likely to ruin your day. 3: Don't overreact. I can't tell you how many times I've made things worse by failing to heed rule #2. Instead, I start flinging mouse-clicks at the troubleshooting dartboard. Uninstall a driver here, update a BIOS there, run the free virus-removal utility that promises to fix everything--it all snowballs. That's how one problem evolves into several, until eventually you think: "Ah, screw it, I'll just buy a new PC." (Tell me you haven't had that exact reaction at some point.) By all means, troubleshoot the problem, but do so slowly and methodically. Windows 7 has the same core code as Windows Vista, right? So application compatibility should be a non-issue, right? Wrong. Recently I tried to apply a firmware update to a Blu-ray drive, but the installer was designed for Vista and produced an error in Windows 7. Meanwhile, I've had ongoing problems getting my iPhone to sync properly with iTunes--even though it worked just fine in Vista. Right-click the icon of the app that's not working properly, then click Troubleshoot compatibility. Windows will try to detect compatibility issues, then give you two options: Try recommended settings and Troubleshoot program. Select the first option. After Windows applies the selected settings, click Start Program and see if that solves the problem. Either way, click Next to have Windows apply the settings "permanently" or try again with different settings. This tool solved my Blu-ray drive firmware problems, but it didn't completely clear up my iTunes/iPhone quagmire. So my iPhone was still refusing to sync properly with my recently upgraded Windows7 PC. I've read here and there that there's a known issue with Windows 7, gigabyte motherboards, certain Intel chipsets, and iTunes. Maybe that's the culprit? Just one problem: I have no idea what kind of motherboard and chipset are inside my PC. 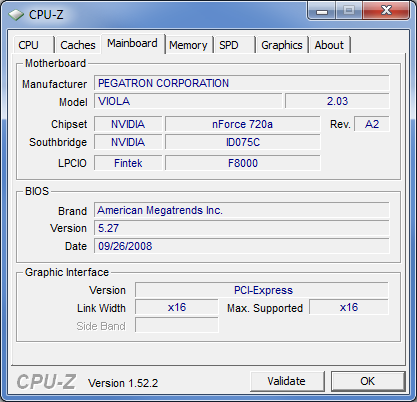 Enter CPU-Z, a free utility that reveals all kinds of information about your hardware: processor model, RAM size and speed, BIOS brand and version, and so on. It gives you just the kind of information you might need when trying to troubleshoot a sticky problem like this one. Of course, CPU-Z can come in handy for more mundane tasks as well, like figuring out what kind of memory to buy when upgrading your system. A quick check of the Memory tab, for instance, reveals that I have 400MHz, dual-channel, DDR2 RAM. And the SPD tab shows me what's in each memory slot. On my system, slots 1 and 2 each have a "1024 MByte" (aka. 1GB) Samsung PC2-6400 module. Perfect: Now I know to buy two more just like that to bring my system total to 4GB. Now I just need to do some research and figure out what the heck's going on with iTunes--at least now I've got the hardware specs I need.